I really enjoy dessert, but don’t always want to put in the effort of making it. Which is good, because with my inherited sweet tooth (thanks mom) I’d be big as a house! I actually do like to bake, but for the previously mentioned reason, won’t do it very often. But this easy to make dessert is an exception, and a show stopper at the same time. The Banana Split is an American classic; rich vanilla, chocolate and strawberry ice cream topped with ripe banana, hot fudge or chocolate sauce, crushed pineapple or pineapple ice cream topping, whipped cream, wet walnuts and maraschino cherries. Yeah baby! After eating one of those you usually went into a sugar coma, but it was worth it. I’ve taken the basic idea of that banana split and turned it into a pie. Heat oven to 350 degrees. In 10″ pie pan, mix cookie crumbs and melted butter until all crumbs are moistened. Press the crumbs into and up the sides of the pan to form crust. Bake for 10 minutes in the oven to set the crust. Let the crust cool completely on a wire rack. 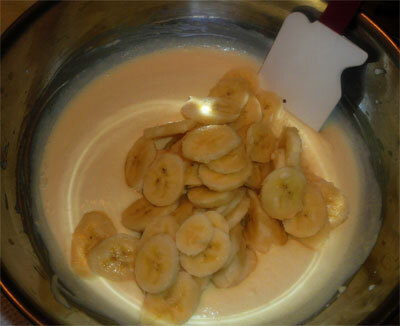 In a medium bowl mix the instant pudding and 3 cups of heavy cream. Stir in the banana slices, set aside. In small bowl, stir together the hot fudge and rum, until well mixed. 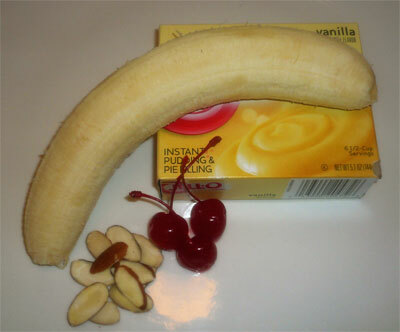 Spread half of the banana filling into the cooled crust. 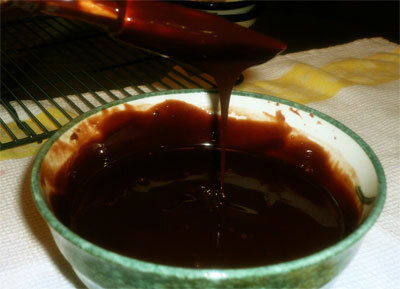 Pour half of the rum sauce over filling, and gently spread fudge sauce to the edges. Spread remaining banana filling on top of fudge sauce, then repeat with remaining fudge sauce. Place pie into refrigerator to chill and set for at least one hour. 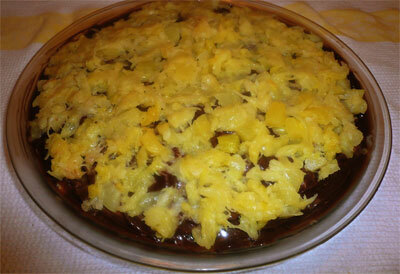 Drain the can of crushed pineapple well, then top the chilled pie with a layer of pineapple. 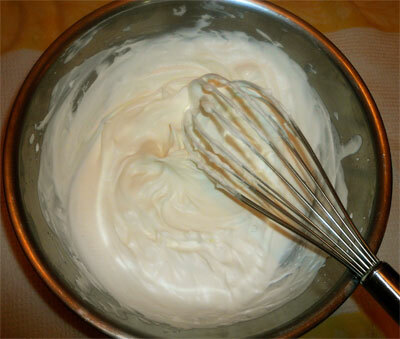 Whip the remaining cup of cream into soft peaks with a whisk or electric mixer. 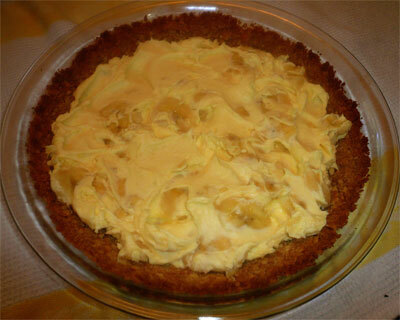 Do not add any sugar to sweeten the cream, as there is more than enough sweetness to this pie already. Spread or pipe the whipped cream over the top of the pie. 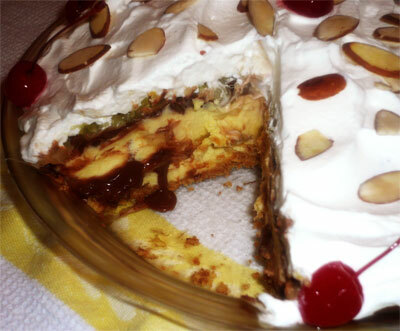 Garnish the pie with sliced almonds and cherries. 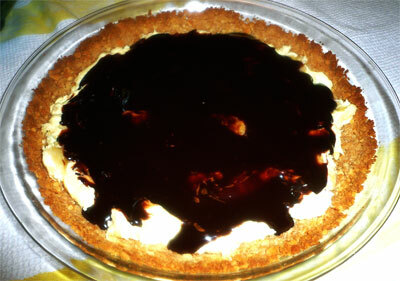 banana split pie – what a fantastic idea! sound deeee-lish. This is great for the banana lovers…and the rum lovers!